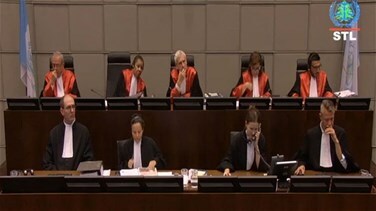 The final closing arguments kicked off at the Special Tribunal for Lebanon in The Hague, in the case of assassination of later PM Rafiq Hariri, in the presence of Prime Minister-Saad Hariri and his accompanying delegation. The public prosecution presented more than 3 thousands evidence to convict the killers of Rafiq Hariri, stressing that the attack of February 14, 2005, was implemented as a part of a complicated, multidimensional mission that would only be the result of some plot. The prosecution noted that “Badreddine was a top official in Hezbollah, and when he was killed he was praised in Beirut, Damascus and Tehran,” pointing out that Bdreddine’s military expertise allowed him to lead the party’s military forces in Syria and this expertise was translated in the planning and implementation of Hariri’s assassination. The prosecution also declared that Mustafa Badreddine is the mastermind and the supervisor of the assassination, adding that Salim Ayash led the 6-person unit that assassinated Hariri.